One of the most powerful benefits to having a strong Professional Learning Network (PLN) is how they can push you to do the work you must do, the work that makes you open and vulnerable, even when you think you don’t have time. 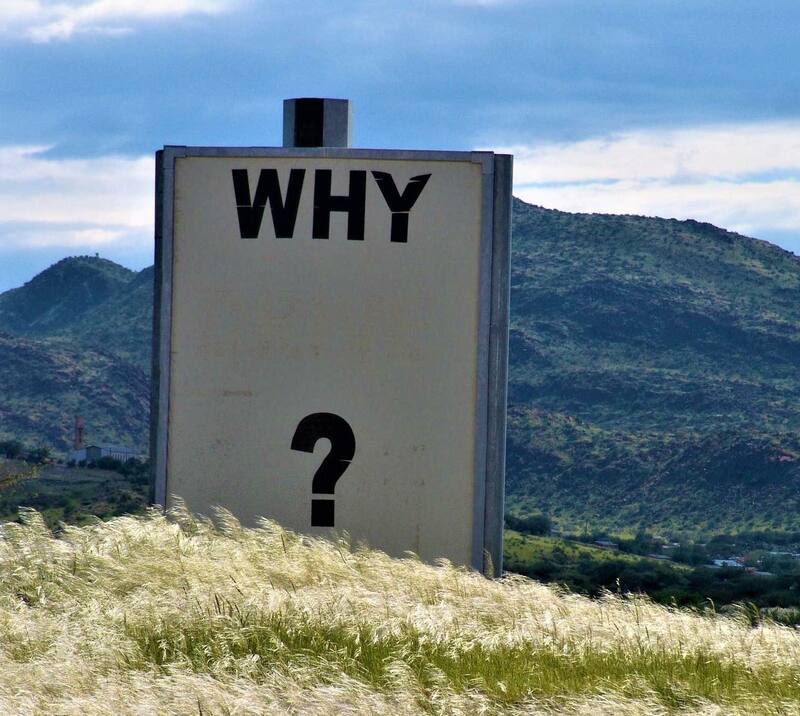 Why we do what we do is an essential question educators must ask themselves, and be ready to answer honestly. My “why” has changed over the years, and while I have been aware of the changes, I haven’t purposefully revisited it for awhile. 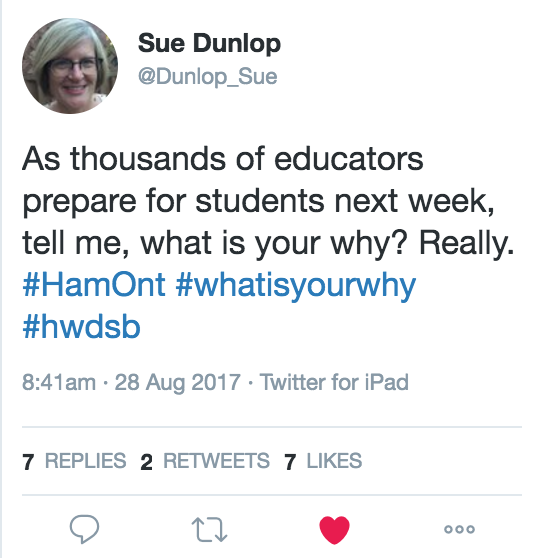 Thanks to Sue Dunlop for pushing us to articulate our “why” before this school year begins, and to the many educators who have responded, including Heather Theijsmeijer, Stacey Wallwin, and Aviva Dunsiger. Labour Day Weekend Blogging Challenge! I believe that every child, regardless of geography & parental circumstance, has the fundamental right to an education that empowers that child to realize his or her best possible, most richly imagined future, an education that uncovers and develops gifts while expanding horizons and possibilities. It’s a very personal “why”. It’s also a very simple “why”. “It’s those who start with why who inspire others, and who find others who inspire them”. I have been fortunate to be surrounded by inspirational colleagues for several decades. As I begin a new leadership opportunity, starting with my why could be the most important first step. What is your Why? And yes, it’s good enough! This is not an evaluative culture, it’s a learning culture, and we learn when we share and have conversations. Donna, as I tweeted to you, I absolutely love your “why,” for again, it focuses on the kids. I wonder how many people’s “why” ties directly to students.